Designed to introduce children to the joys of coin collecting, the U.S. Mint’s "Rocketship" product features a 2019-D Uncirculated Kennedy half-dollar, a space-themed 2019-S Proof Native American Native $1 Coin, an area to add a quarter to further inspire collecting, and glow-in-the-dark rocket ship packaging that can stand on its own. "Two of our Mighty Minters™, Timothy and Layla, will help kids ages 7 – 12 as they ‘blast off’ into the exciting world of coin collecting," the Mint describes. "To activate the glow-in-the-dark feature, place Rocketship in direct sunlight for about five minutes. Then take it into a dark room and watch it glow." The product will launch on Feb. 28 at noon ET for $9.95. No more than 50,000 will be sold and there will be a limit of two per household. For more details, visit the Mint’s online page for the product. Anything special about the Kennedy halves in this set?? The Mint’s website states that the Kennedy is the original ’64 design. Not sure if that really means something different than the current design. it doesn’t have any special of half dollar coin , Hence 2018 half dollar using original ’64 design , So don’t waste money to buy it ,Coin hobby need new (BLOOD) collector , not speculator ! Hope not or we’re all going to be buying toy cardboard rocket ships. That would be as sad as the way the Postal Service is trying to drum up interest in collecting through Looney Tune and Star Trek stamps. As for the “original 1964 design”, yeah, if you want to include the Bicentennial break. But not really, if one considers the “heavy hair” proofs that were initially minted that year. Nice little collectible for $9.95. 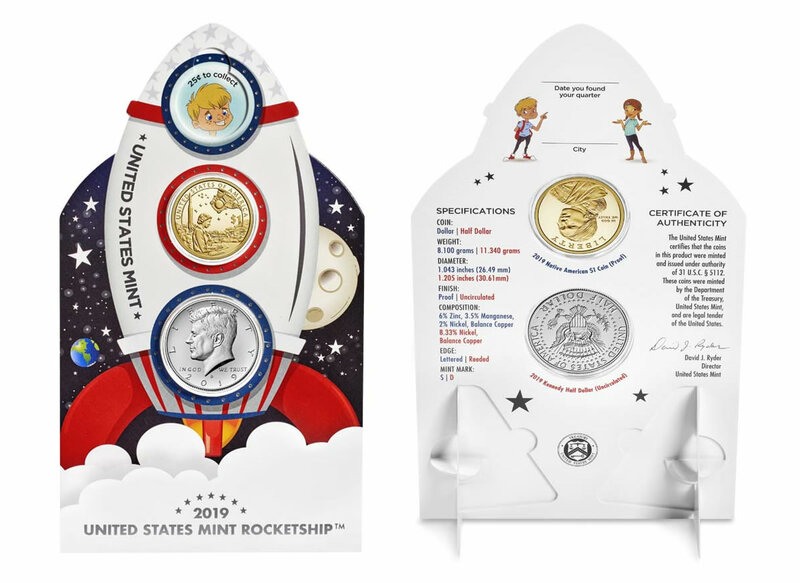 Great way to get children started in the coin collection. Method for Ordering/Purchasing: Within an Order Window: Will be made available for sale during a 1-week order window at which time all orders must be placed and payments made. Delivery of the product will be 3 months after order placement. **Pricing for palladium coins is tied to the market price for one ounce of palladium and could vary dependent upon changes in market prices. From over the years, having completed a dozen or more of the Naxion surveys – Naxion survey questions are usually a very good precursor to what we get, therefore MY MONEY is on that we get an ordering window for the Palladium Proof Eagle. Result of Mint-to-Demand is this – over mintage leading to quick erosion of the U.S. Mint premium over cost, which means the coins are not very likely to maintain their premium value and float back to $100-$200 over spot, if that. Interesting that the mintage is 50,000, but yet yet the initial Purchase Limit is two (2). Does the mint expect heavy demand for this? Is this going to be a sleeper? Or maybe the sleeper in this set will be the $1.00 Native American Coin? If the mint wants another generation of collectors, why limit this product to 50000? Why include a proof Native American dollar and not an uncirculated Innovation dollar to kick off the new program without a limit for 5 bucks? STUPID mint. I thought that the US Mint subscribers list was down to about 100,000, from about 300,000 subscribers. Yeah, a no limit product with a smaller price point and newer paired coins would have been better in the long term. 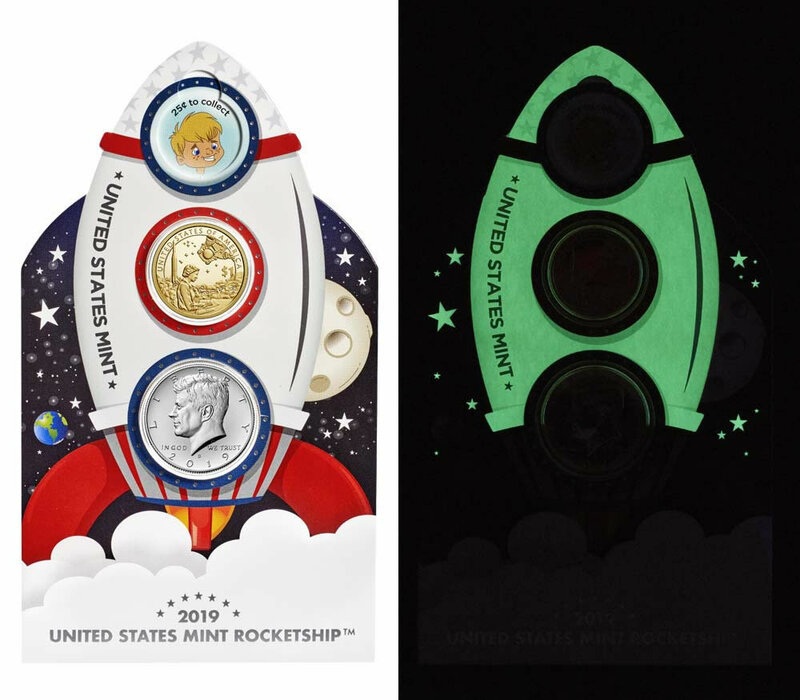 The mint shouldn’t have been concerned about turning a profit with this product, if their intent was to create a new customer base by introducing collecting (not speculating) to a newer and younger generation. Additionally, the inclusion of a numismatic book of American coins and medals would have also inspired new collectors. The U.S. Mint’s mailing list of customers is down from 1.2 million to just 500,000 customers since 2014 !! This hobby is dying a slow death for sure. Can we at least agree that the Ohio State Quarter would be the best fit in the empty hole at the top of the Rocket?